During the Formative Era there is a transition of body shapes for game animals characterized by the short legged, round bodied quadrupeds with smaller horns or antlers. 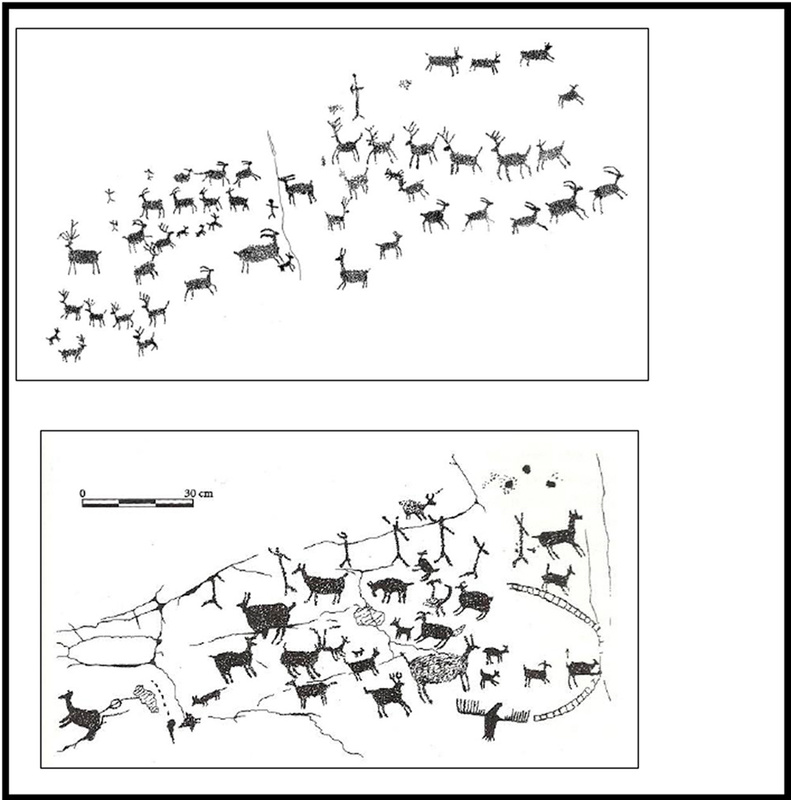 Bows and arrows are depicted, and game drives are shown with animated stick figures using the “driving” gesture. Drawings are from western Colorado (A, by Carol Patterson) and southeastern Colorado (B, by Linda Olson).